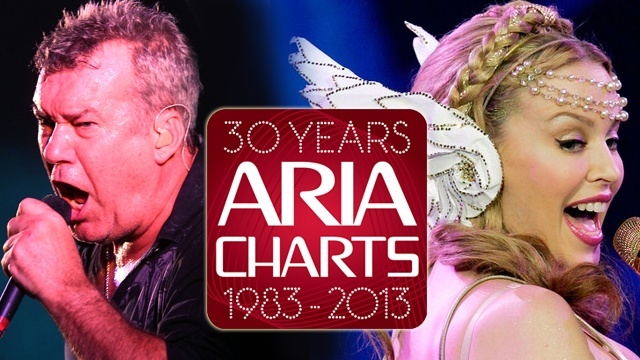 Live Learn Shine On: 30 Years Of The ARIA Charts: Kylie Minogue, U2, Madonna, Bon Jovi, Pink & More! 30 Years Of The ARIA Charts: Kylie Minogue, U2, Madonna, Bon Jovi, Pink & More! 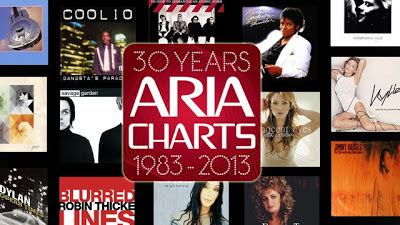 On July 10th the ARIA Chart celebrated its 30th Anniversary, and to sum up what has been achieved over the years, ARIA announced rounds of chart record holders. 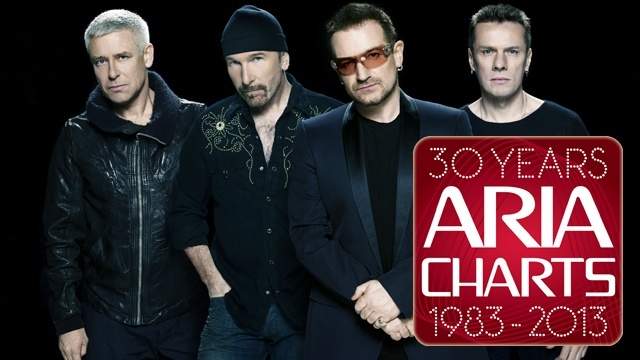 Topping the albums list is U2, who’ve had 11 number one albums. 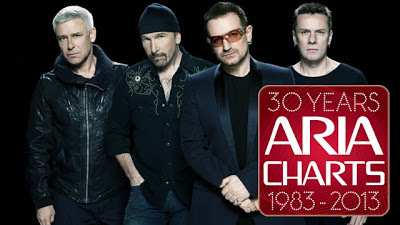 They picked up their first number one in 1984 with The Unforgettable Fire and have gone on to top the chart with Rattle And Hum (1988), Achtung Baby (1991), Zooropa (1993), Pop (1997), The Best Of 1980 – 1990 (1998), All That You Can't Leave Behind (2000), The Best Of 1990 – 2000 (2002), How To Dismantle An Atomic Bomb (2004), U218 Singles (2006) and No Line On The Horizon (2009). We have our first tie of the week with Madonna and Kylie Minogue both topping the list of most number one singles with 10 chart-toppers apiece. Madonna has scored number one singles with Like A Virgin (1984), Angel / Into The Groove (1985), Crazy For You (1985), Papa Don’t Preach (1986), Like A Prayer (1989), Vogue (1990), American Pie (2000), Music (2000), Hung Up (2005) and 4 Minutes (2008). Kylie, who also tops the list of Australian number one singles, has had number ones with Locomotion (1987), I Should Be So Lucky (1988), Got To Be Certain (1988), Confide In Me (1994), Spinning Around (2000), On A Night Like This (2000), Can't Get You Out Of My Head (2001), In Your Eyes (2002), Slow (2003) and 2 Hearts (2007).